Boldly exceed expectations at The Bond. This stylish collection of residences at 46-20 11th Street reconceptualizes the neighborhood’s industrial legacy. Where paper factories once stood, The Bond stands out, exuding LIC’s brash bold spirit of innovation. The result is comfortably chic residences that enliven the neighborhood — a rare combination of design and distinguished functionality. The striking brick and glass exterior sets the tone for the residences inside. The 1, 2 and 3 bedroom apartments are ideally suited for your individual lifestyle preferences. 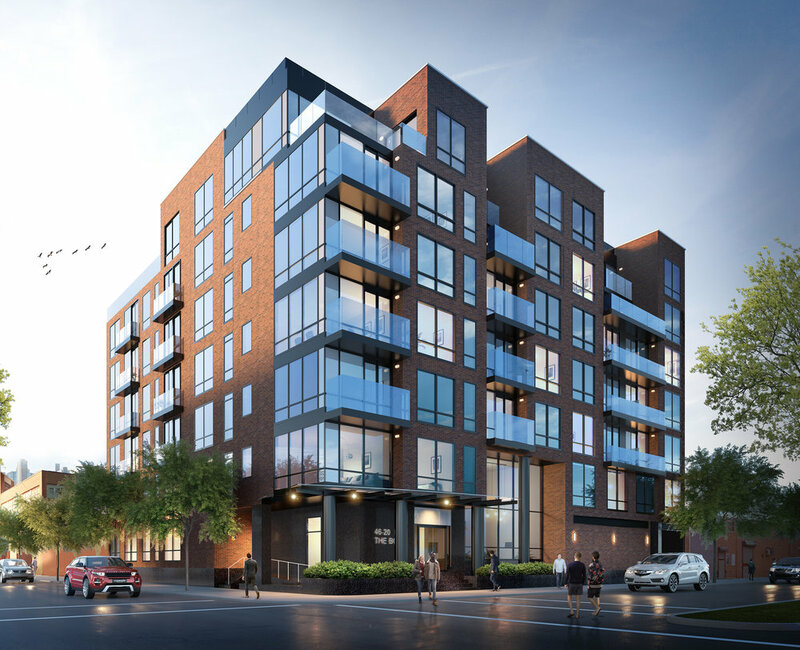 Infused with carefully considered elements that enhance the living experience, the 42-unit building is reflective of its commitment to the neighborhood aesthetic. When it’s time to unwind, enjoy a variety of amenities to choose from. Discover all that Long Island City has to offer. The building is conveniently located in a dynamic neighborhood with everything nearby. Register below for more information and to schedule a private viewing. Thank you for your interest in The Bond! An agent from The Bond sales team will be with your shortly.